Christie Lake is a spring fed, all sports lake that is 211 acres in size. It is located in Lawrence Township, a short distance from Interstate 94. 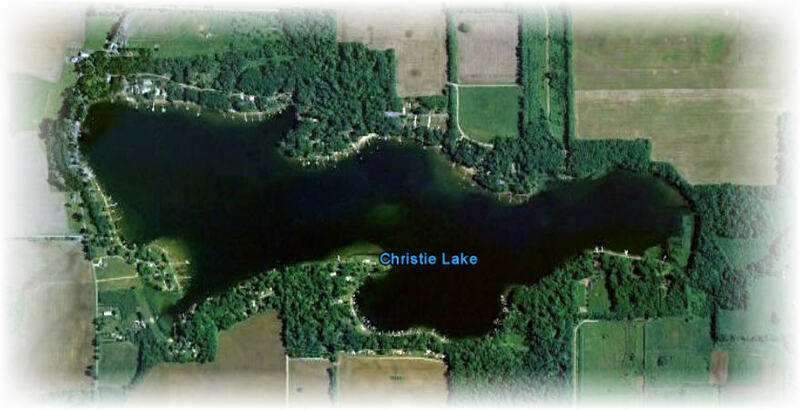 Christie Lake is known for her water quality and as a favorite spot for fishing enthusiasts. An important feature is that Christie is a private lake. There is no public access. This limits boat traffic and keeps the lake healthy. The Christie Lake Association is composed of residents who are committed to preserving and protecting our lake and surrounding environment. We have been active in promoting water quality, weed control, water safety and other issues as they arise. We work with local and county elected officials on items that have the potential to affect our lake. If you are not a member, please join us. We can accomplish more as a group than as individuals. All residents benefit from the activities of the association. Use the application form on this website to join and support Christie Lake. If you have suggestions for additional content, please let us know! Hosted By Goldstar Software Inc.